A view containing the order form. The Order class encapsulates details about an order. Where is differs from the previous view model is in the fact that it incorporates an element of validation. This is included via the use of DataAnnotation attributes. The OrderShipping property is decorated with the Required attribute as is the OrderEmail property. The OrderEmail property is also provided with a custom error message. The OrderShipping property makes do with the default error message for the Required attribute which is "This field is required". The validators work in much the same way as the Validation helpers in Web Pages: when used with Html helpers and the jQuery unobtrusive validation library, they provide client-side validation without any additional effort on your part. They also provide server-side validation. 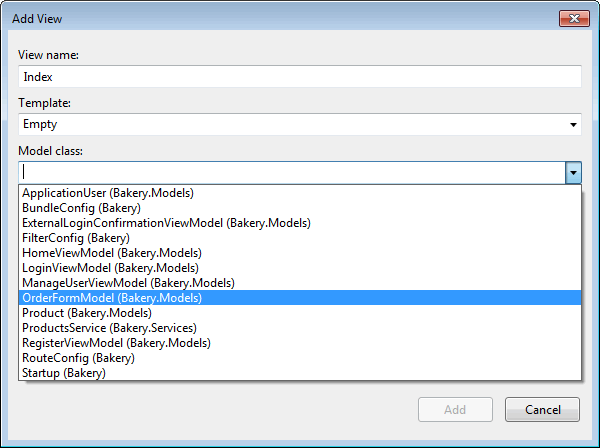 The property names in the view model are designed to match the field names from the original form in the Bakery template. This is deliberate as it allows the application to take advantage of Model Binding, which is a process whereby values passed in a request are matched to variables or objects based on the name attribute of the form field and the property or variable names. I will cover how this works in a bit more detail soon. In the meantime we need a new route definition. 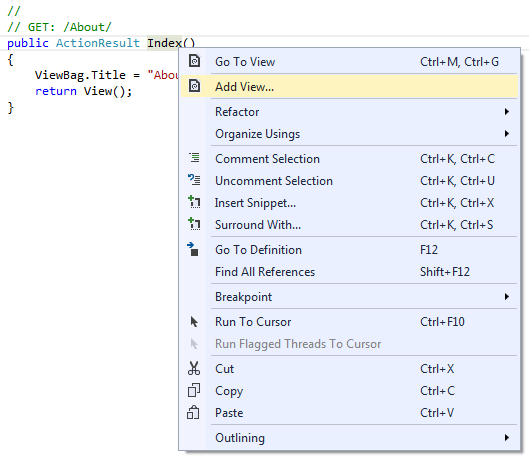 The changes bring in the MVC Html form helpers and the MVC version of the validation helper. Each of the helpers look similar to their Web Pages counterpart, except that they have For at the end of their name: TextAreaFor, ValidationMessageFor etc. These are strongly type helpers and work with the model. The body of the SendOrderConfirmation method features code lifted straight out of the IsPost block at the top of the Order.cshtml file in the WebMatrix Bakery template. The method accepts an object of type Order, which encapsulates details of the current order. Then it creates an email and takes care of sending it. Before that can happen, something needs to create an instance of the MailService and pass and order to it. The OrderService will be responsible for that. Add another interface to the Services folder and name it IOrderService.cs. Amend the contents of the file so that it looks like the code below. Now you have an OrderService which is based on an IOrderService interface containing one method that accepts an Order object, instantiates an instance of the MailService you created earlier and passes the Order object on to it. The new Index method is decorated with the same route attribute as the existing method, but this one also features an additional attribute: HttpPost. In other words, this method has been marked to accept only POST requests (form submissions). This method also expects an OrderFormModel to be passed to it. Model Binding will examine the OrderFormModel type, and for each public property on the type, it will attempt to find a matching parameter in the Request object. It will apply the value of the matching request parameter to the property of the model variable. The ModelState.IsValid test is the MVC equivalent to the Web Pages Validation.IsValid() method. It tests the OrderFormModel to ensure that it meets the validation rules applied to it. The Order object is constructed from the validated view model and then passed to the OrderService. Note: At this stage you might be wondering why you had to basically clone the property values from the OrderFormModel object that came in with the request to an Order object that looks pretty similar, and then pass that to the OrderService. Why not alter the OrderService.ProcessOrder method to accept an OrderFormModel type instead and do without the Order class altogether? The answer to this is separation of concerns. View models (despite thier name) are part of the presentation layer, and can only travel between the controller and the view. You should have a view model-repellant fence around your model - view models should not be allowed to get in, and since the services are part of your Model layer, they cannot accept view models as parameters. If the view model fails validation, the product details are retrieved again and redisplayed in the form along with any validation errors. Once the order has been successfully processed, the user is shown the Success view. The content of the view is lifted directly from the WebMatrix site and is shown below. The view itself differs from the previous views in that it doen't have a corresponding action method in the controller. It is added directly to the Views\Order folder. 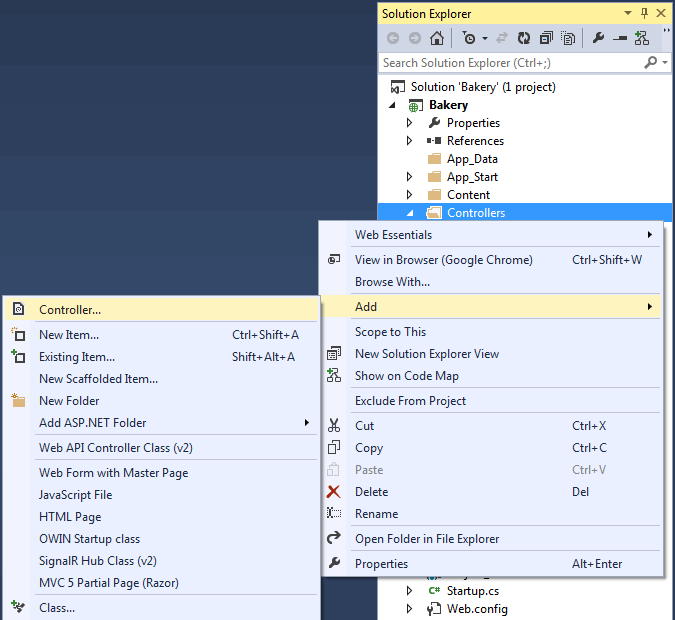 This series of tutorials has taken you through the process of migrating a Razor Web Pages site to an ASP.NET MVC site. You have been shown how views are constructed from the mark-up section of your existing .cshtml files, and how to migrate the logic at the top of the page into the Model, keeping a clear separation beween different operations. 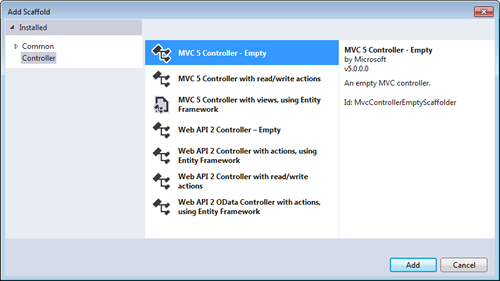 You have also been given a basic introduction to the moving parts in MVC, and have a working application. It should be noted that the approach taken to code organisation in this tutorial is just a start. For example, you have been introduced to the idea of interfaces, but their real value hasn't been demonstrated in this article. That may form a topic for another day.